I’m very excited to share the twenty-third episode of the Woolful podcast. Today we get to meet a special woman who’s multi-faceted interests and background have propelled her in some exciting directions, Dianna Walla of Paper Tiger. 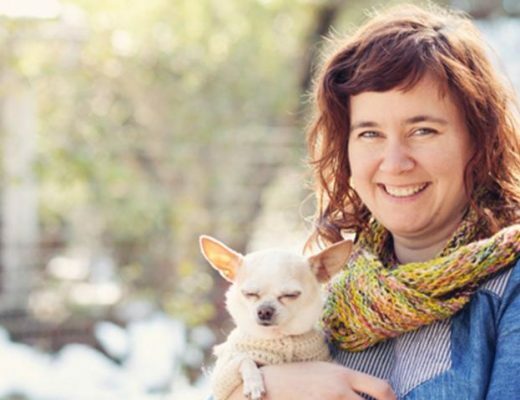 Fiber folk: I wish I had gotten to know Dianna before we moved from Seattle a couple years ago, because her passion and enthusiasm for cultural fiber knowledge, in particular the Norwegian fiber world is enthralling and at the very least, quite dreamy. Dianna has designed some of the most beautiful color work patterns and her dedication to the craft is inspiring. You can find Dianna at paper-tiger.net and on Instagram @cakeandvikings. Giveaway: The winner of last week’s giveaway, is Teri! 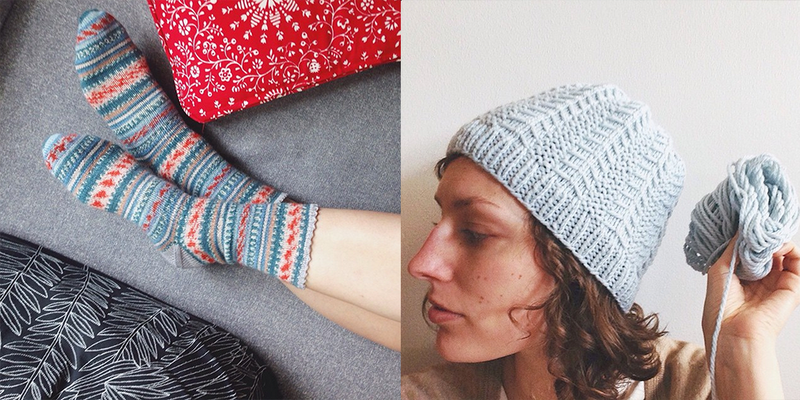 You’ve won a collection of 5 patterns of your choice, designed by Shannon Cook. Congratulations! The giveaway this week is sponsored by Paper Tiger and Tolt Yarn and Wool, and we’re giving away Dianna’s Moon Sprites hat pattern, along with 3 skeins of Lettlopi from Tolt Yarn and Wool to knit the pattern with. To enter this giveaway, leave a comment below. I wanted to make sure and thank today’s sponsor again, Tolt Yarn and Wool. I know many folks have visited Anna’s shop and it truly is amazing. She puts her heart and soul into creating an experience both in person and online that anyone who’s visited, can surely attest to. What a special place to have in this fiber community of ours. 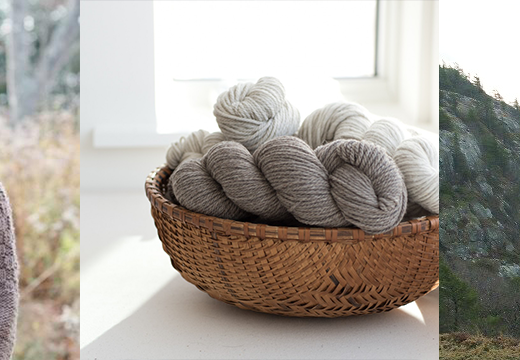 Make sure to visit Toltyarnandwool.com for a very special collection of fibers and notions. This past week marked the start of the Tales from the Isle of Purbeck Mystery Pattern Knitalong, hosted by Annie Rowden. This pattern is a gentle piece of soothing knitting, resulting in a pretty and versatile piece which will slip right into your wardrobe. Hole and Sons Pure Wool is the inspiration behind this design – and whether you were lucky enough or not to get some yarn from the latest batch, there’s still plenty of time to join this knit along with the yarn of your choice. You can find more information on the by annie claire Ravlery group. Yay I have a day off work today so will listen this morning with a tea & some knitting or sewing:) I love Lettlopi yarn – gorgeous. I can’t tell you how much I love listening to your podcast. Thank you for putting it all together. I enjoy these Woolful episodes so much! Thank you, Ashley. I love Norwegian wool and patterns. 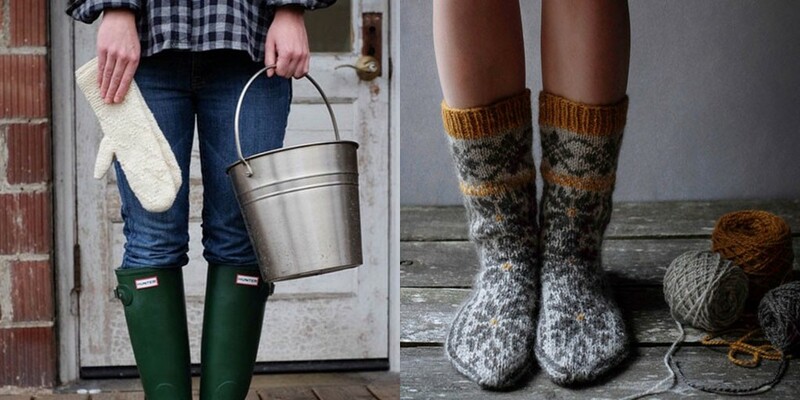 These inspire me to get knitting some items for winter even though it’s almost June! I’m looking forward to listening to this episode. 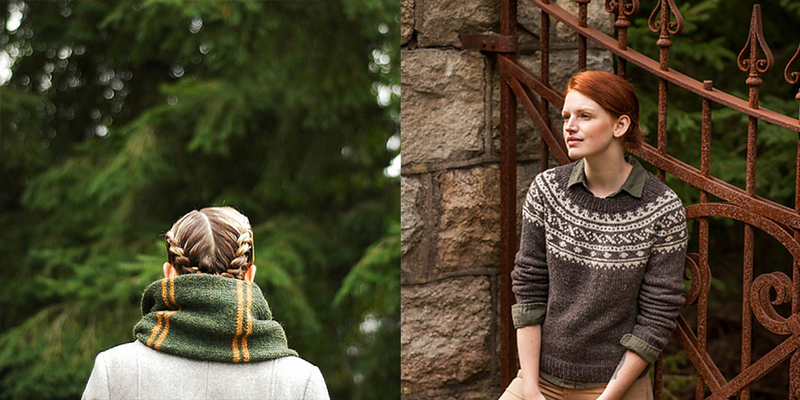 I discovered Dianna’s patterns through Tolt and their Icelandic Wool month so am already a fan of both. Still catching up, but I can’t wait to get to this episode! Thank you so much for giving me the opportunity to participate in The Man On The Street!! mystery knit a longs, give-aways and great listening WOW – such a gift in my “inbox” today!!!! thanks, Ashley. this was a lovely interview. I love the hat pattern too, it is so pretty. Knitting hats is actually my current way to prep for winter. Quick, easy and very portable. I haven’t done any colorwork yet so this might be a good pattern to start with. Loved this episode and learning about DIanna’s work. I really love her patterns and it reminds me so much of my own Norweigan heritage. Another delightful episode. Thank you! So nice to hear Dianna’s voice, thank you both for another lovely episode! This is sorcery, OMG I am a wizard. This is 100% exactly how I feel when I knit…. Heel turns are the ultimate magic. I always wanted to try color work, I can knit sweaters but am intimidated by colors. This podcast never disappoints! I absolutely cannot get enough of her colorwork! Gorgeous. Fantastic episode! I didn’t want it to end! Thoroughly enjoyed this episode! Dianna Walla has definitely piqued my interest in Norwegian traditional sheep breeds. I’d love to find out more about them and to try out their fiber/yarns. GREAT!!! podcast…..Dianna is one of my favorite designers; how nice to hear more about her and her inspirations. I love Paper Tiger, thanks for featuring them! And thanks for the chance to win. I’ve sewn along to four Woolful podcasts today, and about to start another! My creativity and happiness levels are both through the roof. Thank you so much for bringing these lovely, passionate souls into our homes so skillfully. Amazing podcast and amazing giveaway! I’ve been wanting to knit that hat! Thanks for yet another great podcast, Ashley. Your podcast episodes are so unique, inspiring and informative! Tolt yarns is a good source for yarn..
Of all the knitting shops in the greater Seattle area, Tolt Yarn and Wool is the one that has the most wonderful ambiance and more of the yarns that I am interested in using. I felt like I found home. I only wish I didn’t now live about 1-1/2 hours away from it. Lovely podcast, as always and good luck to Dianna and her move to Norway. I am a new fan to your podcast. I listen with my Roku. Good luck to everyone! absolutely inspirational conversation! i was totally thrilled by the fact that Diana’s mum inspired by her daughter’s work and she has started to knit more and more. I was listening on my way from work and i came up with the idea of the ornament for my new socks. thanks heaps for the inspiration! What beautiful inspiration! I think I may just start on some color work, with wool… in summer! Colorwork is my big push for 2015, so this episode was very inspiring! Am going to steek for the first time on an upcoming vest for my husband – yikes! That should be interesting! I’m a long time knitter, but have been inspired by my daughter, too. Several years ago, she asked me to knit Levenwick for her and it was then that I became aware of the how the fiber world had changed and I started lo knit again. At the same time, she started to be a serious knitter herself and it’s so much fun when we’re together to be knitting side-by-side. We’ve even knitted together while on FaceTime – so much fun! Thanks for another inspiring episode! Yes, Norwegian must be a difficult language to learn! But the knitting patterns are gorgeous! 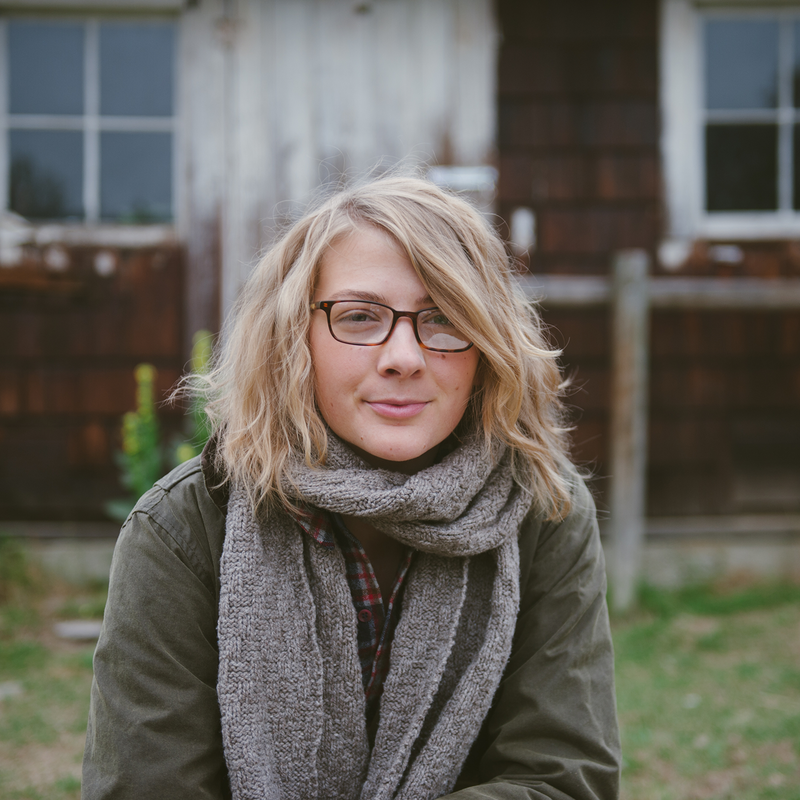 She is the artist behind Sundottir and Fiordland! I love those patterns! Just caught up and was able to listen to 3 episodes in a row and I feel like quitting my job and knitting all the time! So inspirational. You’ve really introduced me to designers I had only seen in passing on a much more meaningful level. Another inspiring podcast, Ashley! Keep up the great work. I am now headed over to Ravelry to check out Diana’s patterns. Another kindred spirit “met” here today. Thank you for the great interview! We’ve just had Finn rams mowing our back yard and I must say, it furthered my fascination with all things woolly and Scandinavian. Glad I’m not alone in my obsession! And I, too met Cirilia Rose at a Nordic Heritage Museum event…swoon! Next stop – a visit to Tolt!! Would love to win this fabulous giveaway. What a wonderful edition of Willful! I loved hearing you and Dianna talk about wool and knitting. Thank you for introducing me to her and to so many other terrific knitters, designers, and wool people. I loved listening to this episode and the hat pattern is a beauty. Thanks! I’m so excited to finally hear Dianna interviewed! I love her designs, aesthetic and sweet disposition. Fingers crossed, I’d love some Letti! These patterns are intensely beautiful! I adore that shawl, what a dream! I have recently become quite intrigued with Norwegian knitting and heritage. I loved this episode and your guests – thank you for delivering another high quality episode. Dianna’s work is gorgeous! That style is one I aspire to improve in. I’ve recently become familiar with Dianna’s designs through Pom Pom Quarterly — would love to win the prize and have an excuse to cast on one for one of her patterns. Loves this episode. Inspiring as always!! Dianna is such a talented knitter and designer. I bought my first pattern from her a few years ago. 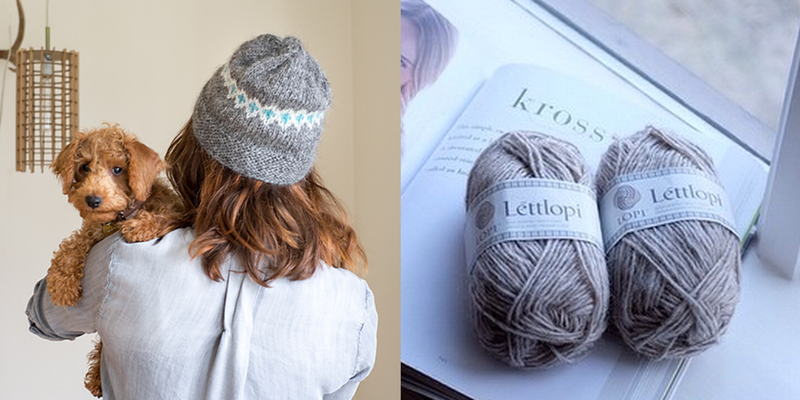 I would adore to knit Moon Sprites and haven’t tried Lettlopi yarn. I would be honored to be selected. Thanks for another great episode and giveaway! I really enjoyed your conversation with Dianna. I teally enjoyed making the Sundottir which when finished was promptly whisked away with nimble fingers by my youngest daughter and traveled to University with her where the sweater received lots of Adoring Attention. The sweater deserved to be involved in young shenanigans. I love Dianna’s designs and I look forward to purchashing the ones that do not yet reside with me. Yeah. A New episode, and a New super Nice give away gift. I love Dianna’s patterns and have several queued already! Enjoyed getting to know her better throug the podcast. What a great giveaway. Love the episode. In the olden days, one would go to the LYS, buy a pattern, the yarn, other necessities, go home, and knit. Maybe you belonged to a knitting group but it was a very individual pursuit and who knew where the yarn came from or the people behind it or the designers. It is so much more interesting and satisfying a hobby/love to be able to dive deep into the fiber world, see what people are doing, learn about origins, history, and passion. You make it come alive! Thank you! again a very interesting and inspiring interview. Though I must disagree with your dislike of knitting groups, I regularly (once a month) go to local knitting get-togother in the city near-by, in a small town and the one I helped set up in my own tiny French village, plus the faraway drive to an all-day meeting of the Burgundy Spinniners’ Guild, and I all enjoy them, even though the knitting must be plain and easy if one hopes for some productivity! Oh, I love this! I think perhaps I am just happier as a solitary knitter, but I’m so glad you’ve got such a wonderful knitting group that you even helped set up. Perhaps I’ll become more interested in knitting groups once I move to Norway – might be a good way to meet folks! Mmm, gorgeous yarn and what a lovely hat pattern! Dianna was fun to listen to. Looking forward to listening to the podcast! This is such a cute pattern. 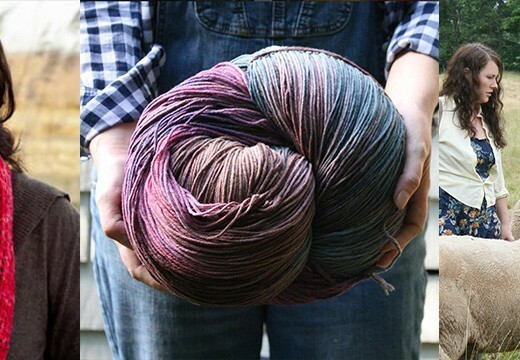 I would love to get my hands on both it and the yarn. 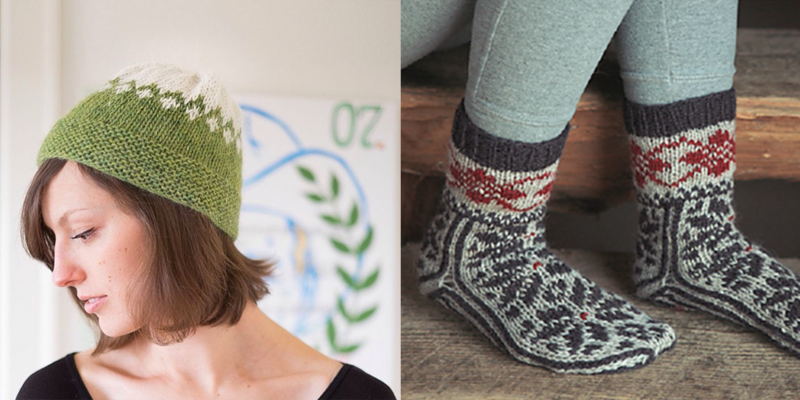 I’m a big fan of Diana’s designs – I have Sundottir and Swedish Pancackes (mitts from Pom Pom mag) in my queue! Lovely yarn, inspiring pattern. Hopefully I will be the lucky one! Loved this episode! Dianna has such an inspiring story! 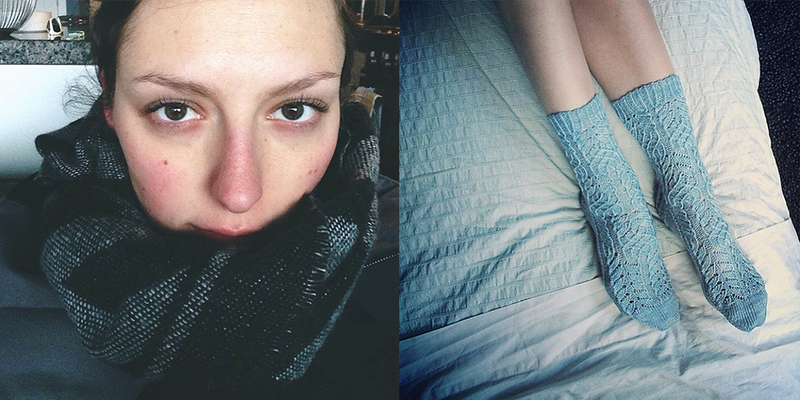 I love Dianna’s patterns, and have a few queued and favorited already. I’d love to try Moon Sprites! Amazing! Thank you for this podcast. I love Dianna’s patterns; her colorwork is so beautiful. Thanks for a great episode! Oooh, I’ve wanted some lettlopi yarn, but as I’m on a serious yarn buying diet, it’s just going to have to wait. Really enjoy your podcast. Been trying to work my way through from the beginning. I woul love to try out that yarn. It is sooo beautiful! I love every single pattern published by Dianna-thank you for featuring her this week! Great episode as usual. I have long admired Dianna’s work and it was great to learn a little more about her. I love this podcast- so peaceful and informative. I love getting in my car and listening and learning on the way to and from my kid’s school. Keep up the awesome work!!!! I have been too scared to try colourwork, this would be a lovely introduction! I have planned to add color work to my knitting repertoire this year and would love to win some wool and a pattern to get me started! Thanks to Dianna for sharing her story. Thanks for introducing me to Dianna’s designs. They are beautiful and it was interesting to hear her story. This is my first listen to woolful and I think it’s love. Thank you for a way to listen to talk about knitting for the time I steal away to knit. Another wonderful podcast! Thank you!! One of my favorite podcasts, the persons you interview are always so interesting. Finding out how they got started and all things about wool and how it is sourced. I love the look of color work and would definitely like to try it. love Dianna’s designs. Great podcast as always! I love Norwegian designs, especially the yoked sweaters, and Dianna’s patterns are beautiful. This episode is so fun!! Makes me want to meet Dianna! Her journey is very similar to mine!! Thanks so much for sharing her!!! Once again, thank you for this thoughtful conversation! And for the introduction to another great designer! I recently retired and have rediscovered knitting. I’m so glad to find your podcast and am really enjoying listening to the stories of such inspiring people. I admire all that you are doing. I really enjoyed this week’s podcast- it’s a wonderful way to learn about new (to me) designers. I love lettlopi wool, and have done a little color work & its definitely a technique I’d like to do more of. What a great episode. I’m a big fan of Dianna Walla and have most of her patterns queued up both in my head and on Ravelry. I read her blog but it was great to hear her voice. What an excellent interview. Thanks! I have admired Dianna Walla’s work for a while and it was wonderful to listen to this interview. 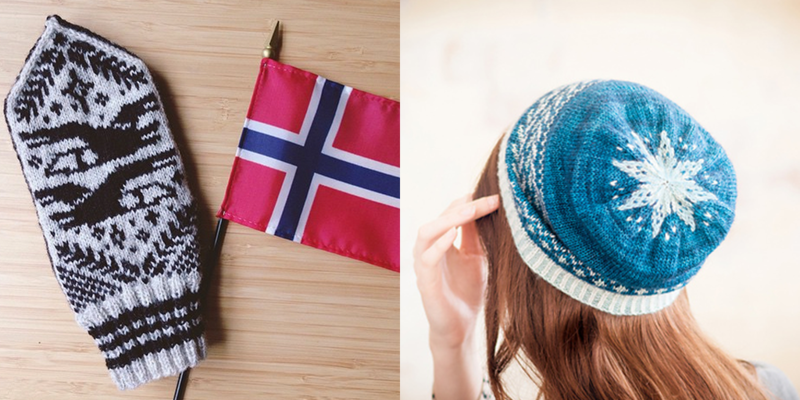 I spent two years living in Norway and I can’t help but share her love for Norwegian knitting. thanks for the interesting range of people you interview on the podcast. This is my first time listening to this show. What a lovely podcast. I love the yarn choice and what a pretty pattern. I really enjoyed catching up with this week’s (and last week’s) podcasts! I had visited Tolt during Islandic Wool Month and almost purchased the items for that hat. Of course, we haven’t had much of a winter in Seattle this year. It’s on my list for next year! Wonderful podcast. Can’t wait to check out all her designs! I loved listening to the progression of Anna’s skills…makes it seem doable for me to learn colorwork! 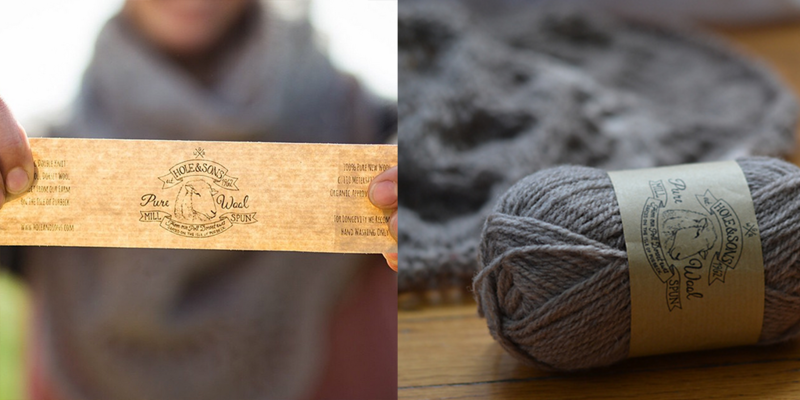 It’s so much fun to hear stories from people you “know” through Ravelry and other blogs. Somehow it validates the obsession I have with knitting. I am 70 now and learned to knit when I was 10. Needless to say I used a lot of acrylic yarn for years and years and I was the only knitter I knew! i raised seven children and knit all sorts of clothes and many mittens. I just love listening to the voyages of discovery on Woolful. Thank you, for the hard work and inspiration you put into this project. You are a blessing to many of us. Thank you for another great podcast and giveaway!!! I’m new to your site and podcast – hoping to catch up on past episodes this summer while I’m not teaching. So far, I love it! Thank you! I’m just getting into colour-work and would be over the moon to win this package! It would make a great introductory project :). What another perfect episode! I really enjoyed hearing the genesis of Dianna’s Sundottir sweater design…inspires me that I could do the same with designing my own colorwork yoke someday. Thank you! Love your audio podcast, it always features inetersting people. I am planning colourwork, and a hat is the perfect size to start with. Hearing about colorwork makes me want to start a project myself. I have been admiring Moon Sprites for a long time. Can’t wait to carve out time to listen to the whole episode. Dianna has inspired me to get in touch with my Norwegian heritage and explore this craft my ancestors loved so much in the way that they would do it! Yet another very interesting podcast! Thank you so much for making the Woolful podcast! Always inspiring. 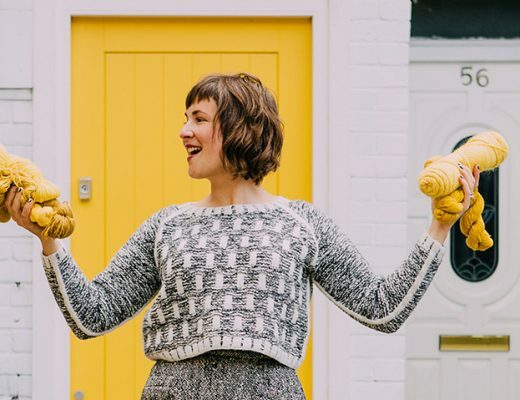 Tea, knitting, your podcast… Life doesn’t get much better than that! This yarn looks beautiful! I would love to try it! I look forward to your lovely podcast every week! Definitely at the top of my favorites list! 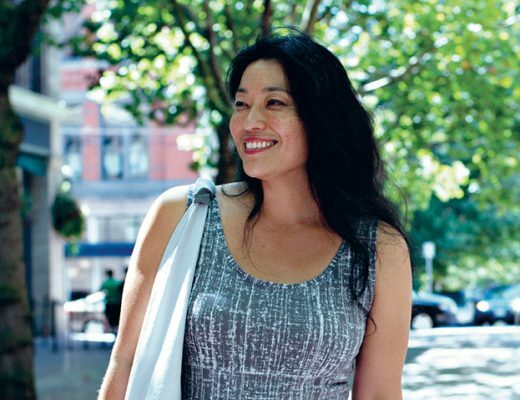 It is great to see another Pacific Northwest designer getting the attention she deserves. Thanks for another great episode! 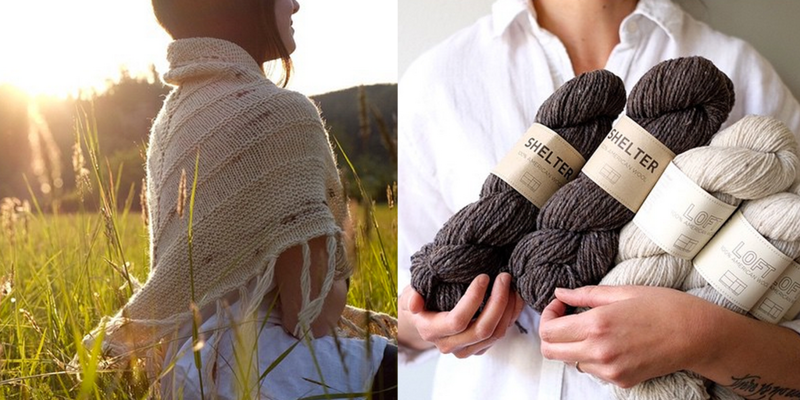 Long summer walks and tales of knitting go hand in hand! I love your podcast. Thanks for all your hard work! Tuesdays are my favorite day. I haven’t had a chance to listen to this episode yet – it will be my treat after completing a large translation job – but I’m so glad I took a break to check Instagram and saw your post directing me here. I loved looking at the beautiful knitted creations. I could use those cozy socks today! Love Anna’s shop, really want to visit it in person, not just online. And thank you for another wonderful podcast Ashley. I can’t even imagine the work, but I appreciate the end result! I love your podcast. I listen over and over while I am knitting. Thanks . Beautiful pattern and yarn. Wonderful podcast as always!! I love hearing others stories. Thank you for the inspiration! Would so love to try this yarn out! Thanks for the podcast, wonderful. I’ve heard nothing but good things about Tolt. I didn’t realize they had Lett Lopi there, so I’m excited about that! Loved hearing about the Norwegian breeds and fiber awareness! Gives me hope that the fiber community is becoming more aware of heritage breeds. We have Santa Cruz sheep and their fiber is absolutely amazing but sadly they are so rare that nobody knows about them. Love the Moon Sprite hat and all the oh so lovely Lett Lopi colours to choose from. Never tire of this podcast – thank you again! I loved this interview so much–I have had several of Diana’s patterns in my favorites for quite a while–I think it’s time to get one on the needles! Thank you for the chance to win a pattern and yarn! Thank you for opening my eyes to a works I didn’t know existed. It’s beautiful. I enjoyed the episode as always. The hat pattern is so cute! Great episode! Always very inspiring. First time listener, and I enjoyed it so much! Found you through following Diana on Instagram. Can’t wait to listen to more episodes. Hoping to make it to Tolt next time I visit the PNW. I can’t tell you how much I look forward to listening every week. Thank you so much for the immense work you do to bring this magic to our ears! Looking forward to listening to the podcast, and that yarn looks amazing! I love Tin Can Knits! Their sock pattern was my first pair of baby socks and I just finished making their Harvest sweater (grownup sized) for a friend! Such friendly patterns for new knitters. Glad you’ve done something with them! amazing, amazing, amazing….did i say amazing! so excited each week for who we get to learn about, and at the same time we learn more about ourselves…thank you! As someone addicted to all things fiber..your podcast is a treasure trove of ideas and inspiration. Thank you for what you do. I am truly inspired by this podcast. Thank you for giving us makers a voice and for helping us connect! Love every episode. 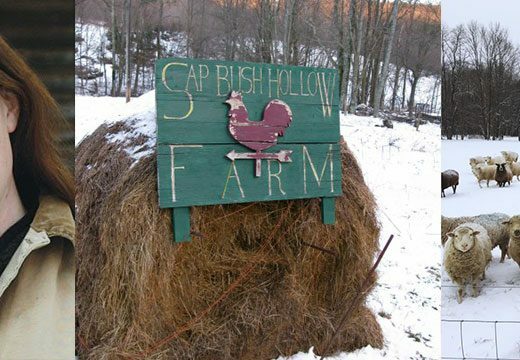 So happy to hear about small fiber farmers. Glad to be on that journey myself! Love the episode! Especially comment from the son “did they look rich?”, not sure but they looked happy!